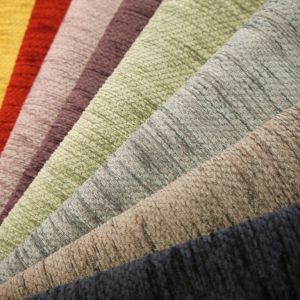 Chunky and heavily textured plain chenille in a whopping 34 colour options. A great all round fabric suitable for a host of upholstery and soft furnishing uses. Vespa 2361 Plain Chenille Upholstery Fabric in Kingfisher.